The National Marine Fisheries Service is questioning whether long-standing measures to minimize longline bycatch, such as time-area closures, are still needed. The answer is most emphatically yes. 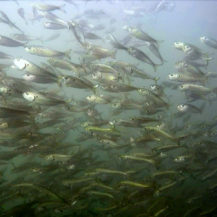 Under separate actions, smaller areas off New Jersey and Cape Hatteras were subsequently put off-limits to longlining for certain parts of the year and, most recently, two new Gear Restricted Areas were added in the Gulf of Mexico to protect spawning bluefin tuna from industrial-scale longlining for other tunas and swordfish. Taken all together, these time-area closures represent the single-most effective measures to minimize the incidental catch of numerous vulnerable species. 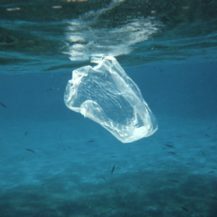 The bycatch and discard of billfish, oceanic sharks, bluefin tuna and sea turtles is 30-75% lower than before the closures. As a result, there has been a substantial gain in fishing opportunities, including resurgence in recreational fishing success as well as development of a new and sustainable commercial buoy-gear fishery for swordfish. Were these areas meant to be permanently off limits to longlining? In my view, the answer is most emphatically yes. If we’re talking about multi-mile, multi-hook longlines, fished in a manner similar to the way they were being used at the time the gear was prohibited and as the gear continues to be deployed everywhere outside the closed areas, there should be no going back. Unfortunately, that’s precisely the kind of longline fishery the government, i.e., the National Marine Fisheries Service, wants to bring back. In 2017, against nearly unanimous opposition from the offshore fishing and environmental communities, NMFS approved an experimental fishing permit (EFP) to fish inside parts of the closed areas with typical longline fishing gear and methods; that is, mainlines up to 25 miles long, possibly more, with up to 750 hooks per set. A similarly designed experiment was permitted by NMFS to fish in 2008, and the results were predictable – unacceptable bycatch. 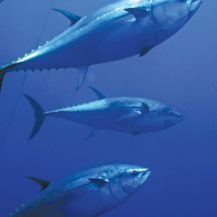 This year, beginning its promised 3-year review of the effectiveness of the Atlantic Highly Migratory Species Fishery Management Plan, amended in 2014 to further reduce bycatch of bluefin tuna in the longline fisheries, NMFS is suggesting the amendment’s new area closures may not be necessary to protect bluefin. 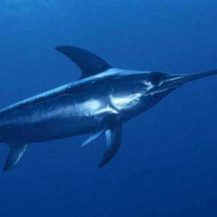 The underlying motive is “revitalizing” (NMFS’ word) the U.S. longline fishery for swordfish. Twenty years ago, in Ocean Roulette, we said that “to encourage commercial fishing experimentation with gear modification or alternative fishing methods,” we could support limited exemptions for longline vessels engaged in bona fide “bycatch avoidance research.” We still do. But that’s a very different thing than simply letting multi-mile pelagic longlines return to closed areas to perform the same experiment over and over again while expecting a different result. Which is the definition of….well, you know. 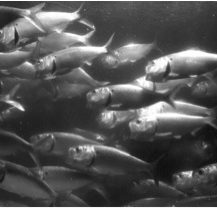 In 1998 we recommended 1) the use of “breakaway gear” (e.g., weak hooks) to avoid capture of large bluefin tuna in areas where they concentrate (a measure subsequently implemented in 2011 and broadened in 2014), and 2) limiting the length of longlines and allowable soak time “to enhance survival of fish and other animals caught incidentally or that must be released according to regulation.” We also proposed that longline gear be retrieved in the order in which it is deployed. 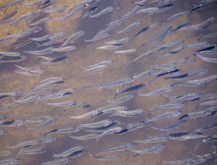 But that research, which has been talked about for two decades now, must be taken off the to-do list and actually carried out on the water before we could ever consider letting “longlines” back into any of the areas closed for the specific purpose of minimizing their damage to a wide range of non-target sea life. 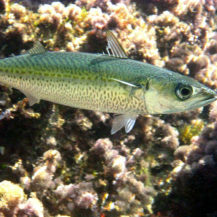 Incentivizing a transition to cleaner, more sustainable gears – like swordfish buoy-gear and tuna green-stick gear – should take precedence over “revitalizing” the pelagic longline fishery, when that means increasing effort with multi-mile longlines that remain in the water for up to 12 hours or more hooking fish and other wildlife indiscriminately . 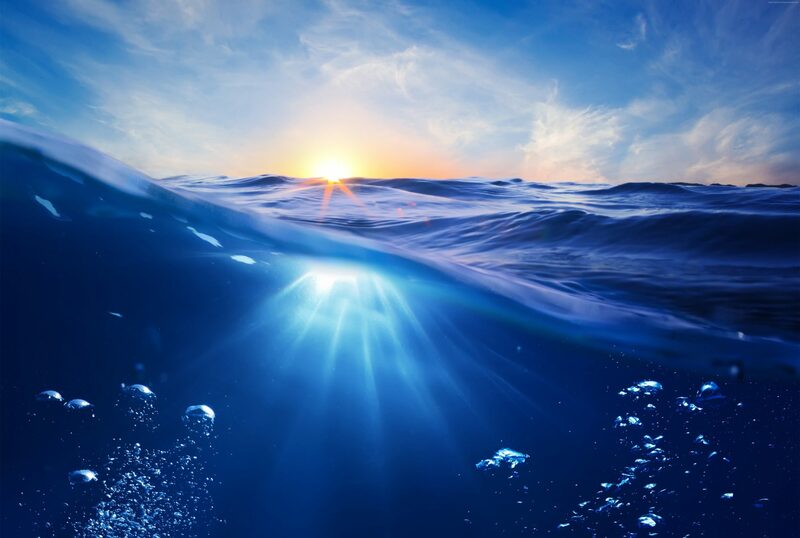 The ecosystem level impact on a wide variety of vulnerable pelagic species – billfish, sharks, juvenile swordfish, breeding bluefin tuna, sea turtles, etc. – is too high a price to pay for increased landings of any single species, no matter how valuable. 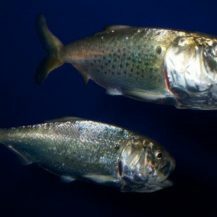 Wild Oceans opposes changes that could diminish the effectiveness of existing measures to minimize bycatch in the pelagic longline fisheries and we are once again urging NMFS to begin research into the feasibility of shorter sets (e.g., < 10 nautical miles) and shorter soak times (< 6 hours). “Longlines” should not be allowed to return to any closed area until it can be demonstrated through such research that overall bycatch and bycatch mortality would be no greater than that currently achieved through the closures. By combining such research with increased use of more selective, sustainable alternative gears with minimal bycatch, NMFS would be making a constructive move into the future of sustainable fishing for highly migratory species, rather than trying to justify the continued use of multi-mile longlines which are already proven to be damaging to multiple species and extremely difficult and costly to manage. NOAA Fisheries. 2015 Stock Assessment and Fishery Evaluation (SAFE) Report for Atlantic Highly Migratory Species. December 2015. For a more detailed explanation of the case for taking the long out of longlines, see “Time Kills,” Issue No. 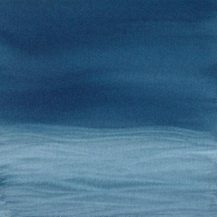 145, Wild Oceans Horizon.